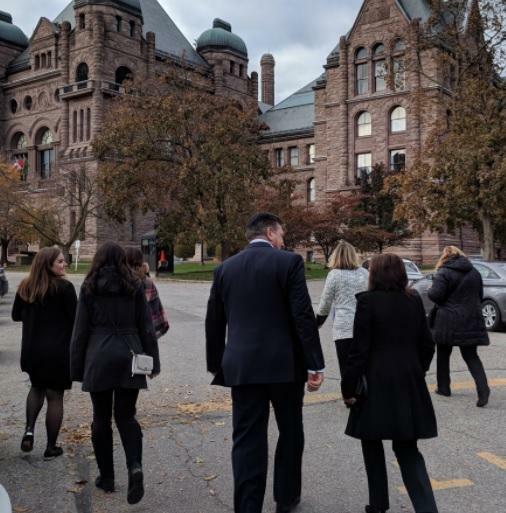 During the province’s Fall Economic Statement on Nov. 14, Finance Minister Charles Sousa announced Ontario’s plans to reduce the corporate tax rate for small businesses, and to boost apprenticeship training with new programs. In accordance with the labour reform package introduced in May 2017, the 4.5 per cent tax rate imposed on businesses with less than a hundred employees will be reduced to 3.5 per cent by Jan. 1, 2018. On the same day, minimum wage in Ontario will jump from $11.60 to $14 an hour. The tax reduction seeks to help businesses thrive despite an increasing minimum wage. It should also ease the financial burden when minimum wage will further increase, from $14 to $15 by Jan. 1, 2019. “We will not back down from these commitments,” Sousa said. “An increase to minimum wage cannot wait. People cannot wait… delaying an increase is delaying an increase. Additionally, the government will also launch the Graduated Apprenticeship Grant for Employers (GAGE). Instead of targeting apprentices, the grant was created for employers to help their young workers complete their training programs. Monetary bonuses will be given at each of the three apprenticeship stages. GAGE will also provide a $500 bonus at each apprenticeship level when the participant belongs to an underrepresented group including: women, indigenous people, francophones, people with disabilities, newcomers and visible minorities. On top of GAGE, the province will spend $124 million over three years for hiring and retention of workers aged 15 to 29. Small businesses will be awarded a $1,000 incentive for every youth hired. Another $1,000 will be given for retention of each young worker for at least six months.